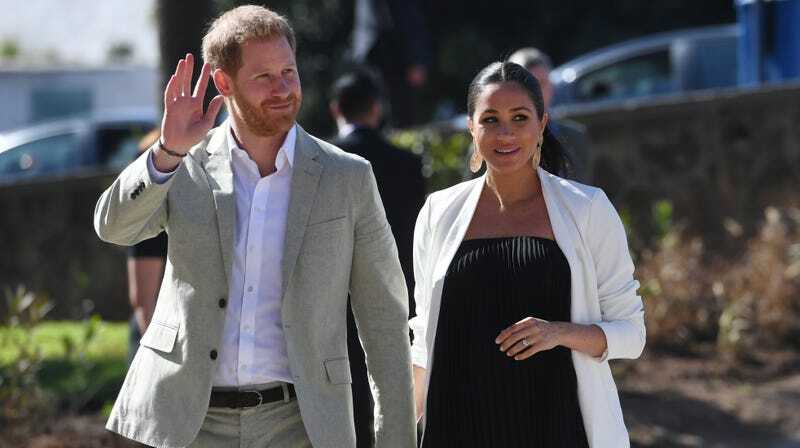 Meghan has made her last public appearance; her baby is due at some point in the next few weeks. You know what that means: time to take some absolutely wild guesses about what they’re gonna name this kid. If the child is a boy, he could instead become Earl of Dumbarton - one of the subsidiary titles the prince received from the Queen on the morning of his wedding. The eldest son and heir apparent of a duke can use one of his father’s lesser grade peerage titles by courtesy, according to Debrett’s. A daughter could be Lady (first name) Mountbatten-Windsor, and any subsequent sons Lord (first name) Mountbatten-Windsor. Since Harry and Meghan’s kid will be further down the line of succession and almost certainly never get anywhere close to the throne, they can get creative—for royals, anyway. “[Prince Charles’s brother] Andrew and his then-wife Sarah Ferguson called their daughters Beatrice and Eugenie. Royal names for sure, but not of the Elizabeth and Mary variety,” said Dr. Bastin. Probably won’t be going with Rose!